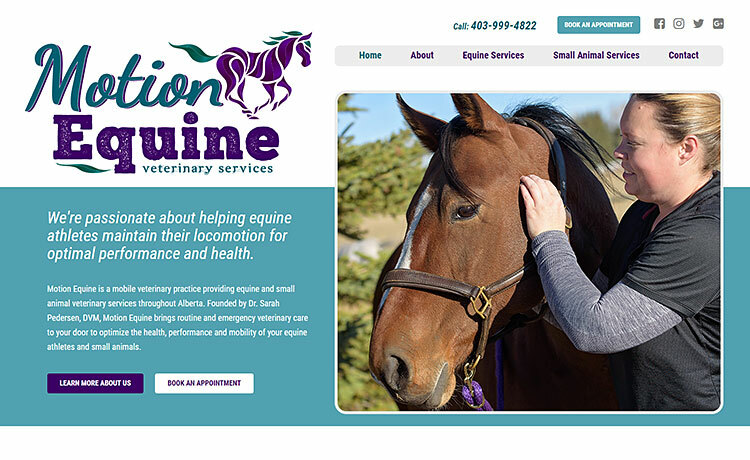 Looking to launch her mobile veterinary practice for small animals and equine athletes, Dr. Pedersen of Motion Equine got in contact with our web development team. As this was a brand new company, she required a logo design as well as a complete web design. We’re stoked to say the new Motion Equine website is now live. As mentioned, our team helped create the logo design and branding for the new company. We then created a custom web design that is mobile friendly and easy to navigate, so users can quickly retrieve the information they are looking for. Working with Dr. Pedersen, we also helped craft the verbiage on the website. Those looking for at-home veterinary care can easily fill out the online booking form. Looking to establish themselves in the online world, the Associate Group team got in contact with our web development crew. We are pleased to say that their brand new web design is now live on the web. First step was creating the branding for the newly developed Calgary construction and real estate development company. Our brilliantly talented graphic designers created a logo design and then proceeded to craft the custom website design. The completed website is fully mobile responsive. A Fresh New Web Design for Sterling Painting & Restorations Ltd. In the same way that a new coat of paint can restore an old object or space, a new web design can completely revitalize a business' online presence. The team at Red Deer’s Sterling Painting and Restorations Ltd. got in contact with us, hoping to update their website for a fresh new look. We’re stoked to say their new web design is now live. Our web development team has created a custom website design that is mobile responsive and highlights the offerings provided by the Sterling Painting team. 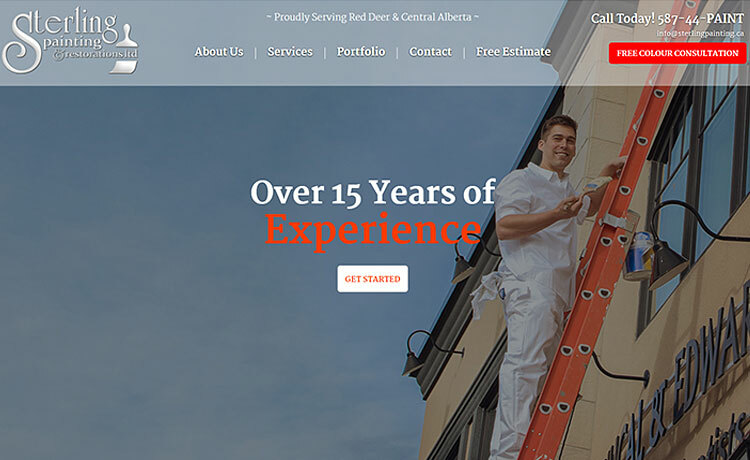 The website features a project gallery, showcasing the detailed-oriented and expert paint services offered by the Red Deer and area painters. Web visitors can fill out the online form to receive a free estimate and get in contact with their team. 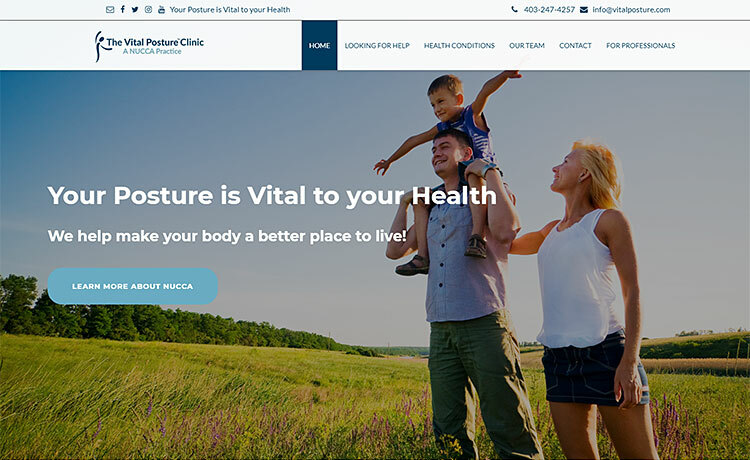 In need of a user-friendly solution to manage the back end of their website and clean up the web design itself, the team at The Vital Posture Clinic contacted us. We are happy to say that their new website is now live. Our team integrated an easy to use content management system (CMS) that allows website administrators to easily edit, add, and remove content quickly from all areas of the website without requiring advanced technical skills. In addition, our designers cleaned up the website design as per best practices to create an easy to navigate and user-friendly web visitor experience. In need of a website redesign to accurately capture their company branding, the team at Endurance Technologies Inc. got in contact with us. We are happy to report that their new, mobile responsive web design is now live. 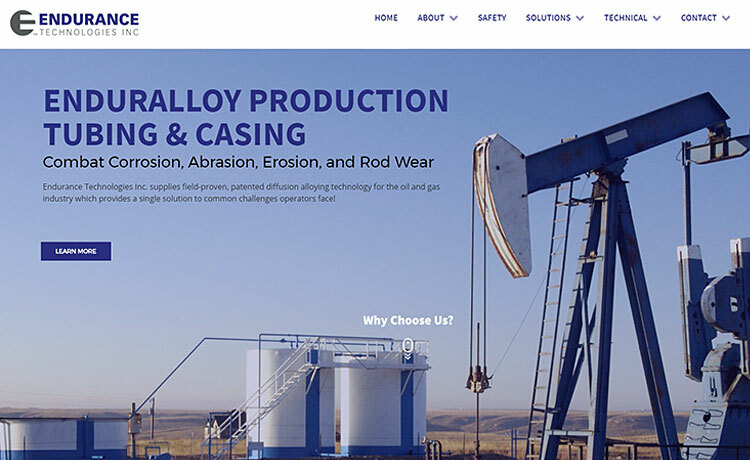 Guided by their existing logo colours, our web development team created a custom website design that showcases their specialty tubing and casing products. Making the website easier to navigate, we redeveloped the website’s information architecture and also rebranded all their pdf documents to keep the look and feel consistent. Styling a New Web Design for Signature Roof Tile Ltd. 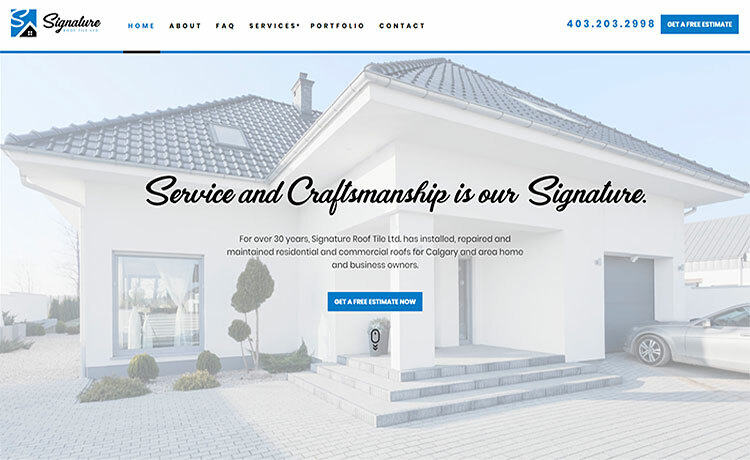 Looking to update and upgrade their website design, the team at Calgary’s Signature Roof Tile Ltd. got in contact with us. We’re stoked to announce that their new web design is now live for your viewing pleasure. Our crafty and talented designer, Dustin recreated their logo design – adding a fresh new spin to their branding. In addition, he completely overhauled the website’s design to create a more user-friendly and visually appealing online presence to showcase the roofing company’s products, offerings and expertise. The custom web design is mobile responsive and scales to optimal viewing size on all devices. Successful online coffee merchants and long-time clients of ours, SingleCup.ca sought our help to revamp their website design. Fueled with caffeine and motivation, we’re happy to say that their fresh, new, mobile-friendly e-commerce website is now live. 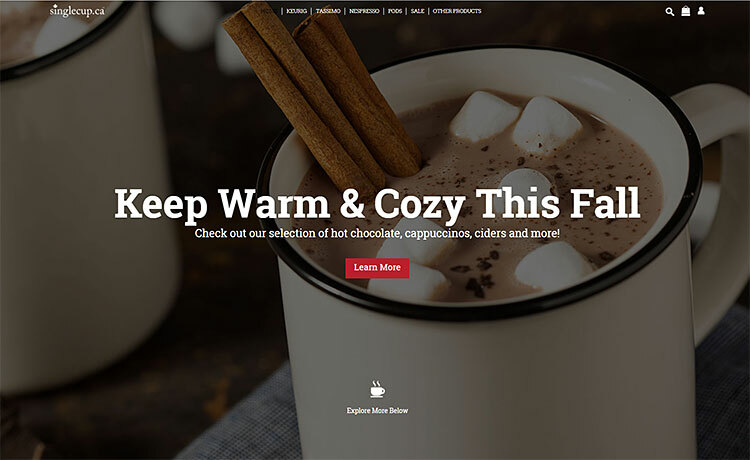 Our web development team has created a custom, full-screen website design to showcase the multitude of coffee, tea, syrup and specialty beverage items sold by Single Cup. Users can easily search for the brands and brews of their choice using the smart search filters programmed by our team. Online purchases can be made securely from the website. In need of a web design update, the team at Frac Shack™ contacted our web development squad. We are happy to report that their brand new mobile responsive website design is now live. 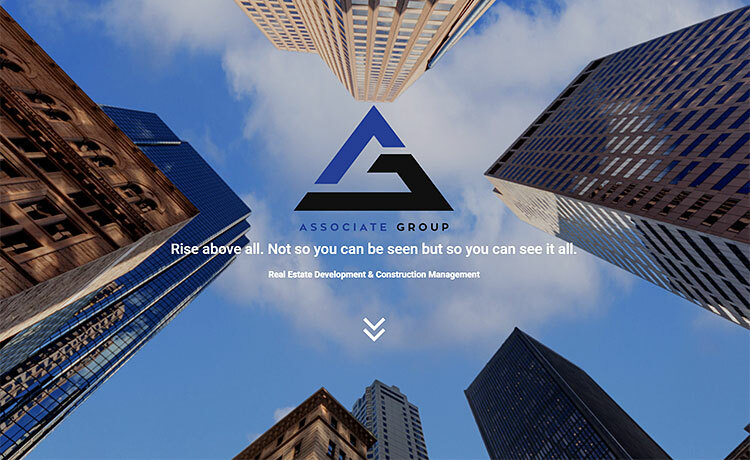 Our team has created a custom, full screen website design that scales to size in both portrait and landscape viewing modes for desktops, smartphones and tablet devices. 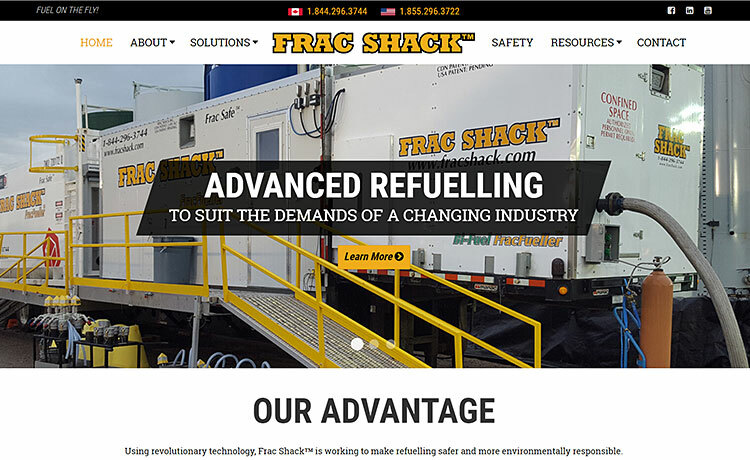 The easy to navigate layout allows users to learn about Frac Shack’s oil field solutions including their patented fuel delivery system and mobile elevating platforms. The newest Halloween attraction to come to Calgary is Field of Screams! 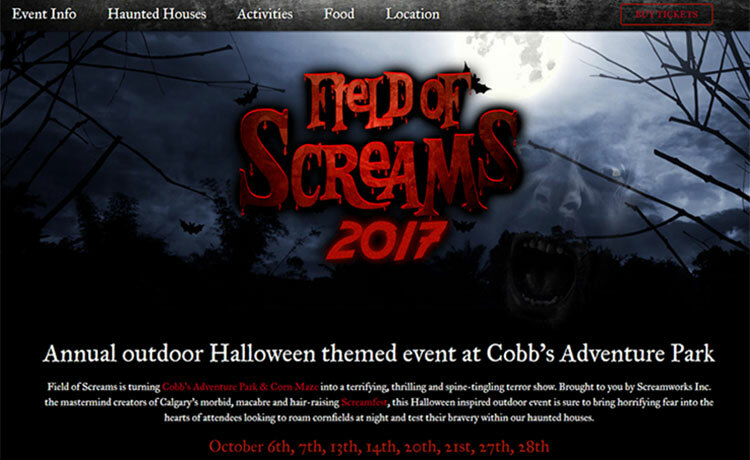 An outdoor extravaganza that features spooky entertainment and family fun at Cobb’s Adventure Park & Corn Maze. Our team has created the new web design for the event and it is now live. We have created a custom, mobile responsive website design that showcases details of the event. Users can read up on all the fun activities, food, and haunted houses that will be available. Tickets can also be purchased online. 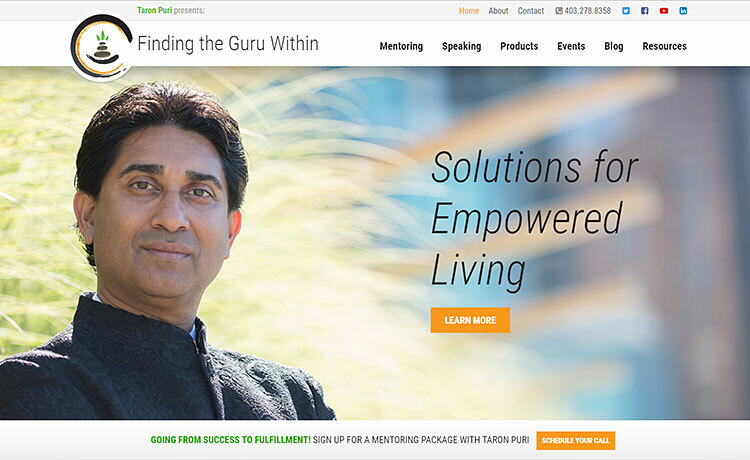 Our latest web design to go live is for Calgary’s Taron Puri who has launched his Finding the Guru Within movement. He came to our team looking to get a website created to showcase his solutions for empowered living and we’re stoked to say that the new mobile responsive web design is now live. We have created a custom, mobile friendly website where users can access a wealth of resources to help them get in touch with their inner GPS and lead a fulfilling life. Web visitors can learn more about Taron’s mentoring packages and future speaking engagements, as well as purchase products directly from the website’s ecommerce store which features essential oils, nebulizers and more. 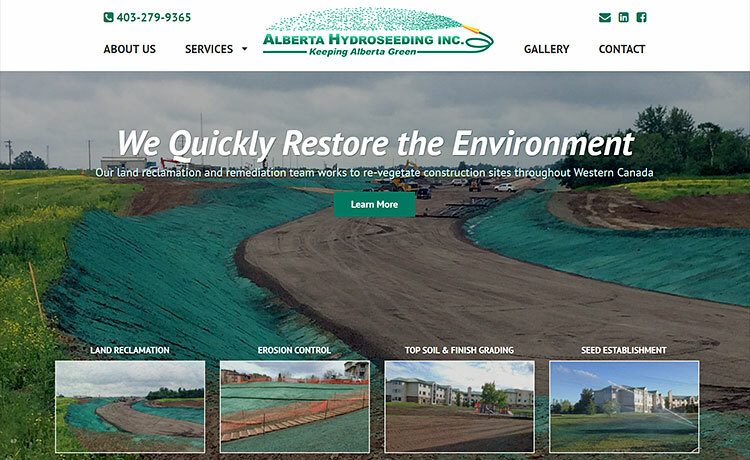 In need of a web design makeover, the team at Alberta Hydroseeding got in contact with our web development crew. We’re pleased to say that their new, mobile responsive website is now live. Our team updated the website design to feature full screen photos illustrating the land reclamation, erosion control, and seed establishment work that Alberta Hydroseeding provides. The user friendly, easy to navigate website allows visitors to quickly retrieve the information they require, peruse the gallery of past projects, and easily contact the hydroseeding experts. Blue Ocean Interactive is 2017’s Consumer Choice Award Winner for Web Design!